Blake Lively and Ryan Reynolds visit Stonyman Gourmet Farmer! "The selection of Appalachian & Piedmont farmstead cheeses is both excellent and interesting." Washington Diplomat rates our cheeses in restaurant review of Food Wine & Company, January, 2011 issue. Stonyman Gourmet Farmer develops cheese program for launch of new Bethesda restaurant, Food Wine & Company. **** Northern Virginia magazine features Stonyman Gourmet Farmer in Food Lovers Guide. **** Stonyman Gourmet Farmer: Farmstead, Local Cheese feature article in Edible Chesapeake. U.S. Army Old Guard Fife & Drum Corps march past Stonyman Gourmet Farmer Mercantile during Christmas Parade. During a Master Class at Stonyman (Spring 2011) Dominique Chaploard demonstrates traditional French seam butchery. Keynote Speaker: Ellie Krieger, host of Food Network’s hit show “Healthy Appetite,” and James Beard and IACP award winner,New York Times bestselling cookbook author, and weekly columnist for The Washington Post. Seminar panelists include Chefs Cathal Armstrong and Spike Gjerde. Stonyman's Susan James will partner with RAMMY Award winning Pastry Chef Beverly Bates-Coakley to conduct a hands-on cooking class: Yougurt Refresh. 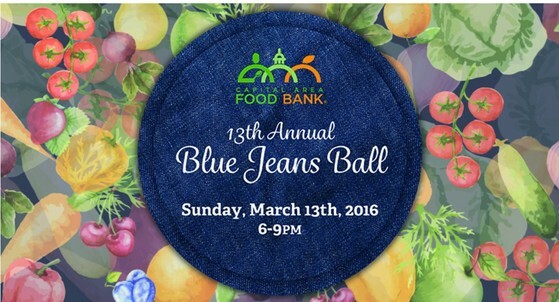 Stonyman Gourmet Farmer will participate once again in the Blue Jeans Ball! Save the date and make sure to join us. 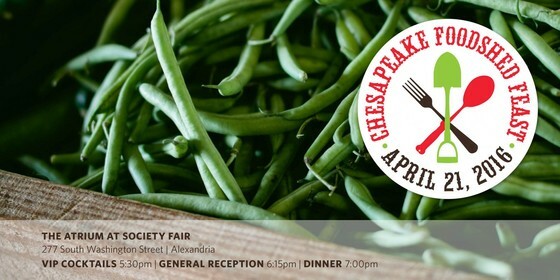 You'll have a chance to sample a good selection of our farmstead cheeses and to stop by the many food stations representing the Washington areas finest restaurants and chefs. 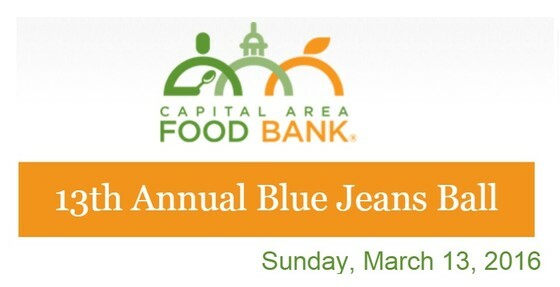 Stonyman Gourmet Farmer will participate once again in the Blue Jeans Ball! Save the date and make sure to join us. You'll have a chance to sample a good selection of our farmstead cheeses and to stop by for delicious tastings at the many food stations representing the Washington areas finest restaurants and chefs. 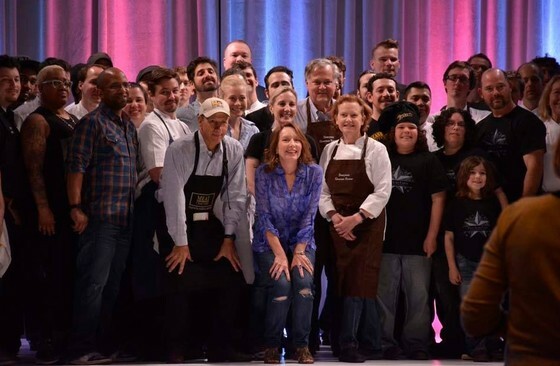 Capital Area Food Bank President & CEO Nancy E. Roman, center, is joined by contributing chefs and restaurateurs. To her left: Drew Faulkner, Stonyman Guest Chef and President of Les Dames d'Escoffier, Washington DC Chapter. To Roman's right, Central Farm Market's Co-Founder and MeatCrafters CEO Mitch Berliner. Stonyman Co-Owner Alan James behind Faulkner and Roman. On Saturday, August 2, Stonyman Gourmet Farmer will join MeatCrafters and a select group of Central Farm Market vendors at the Appetite Festival at Strathmore. Culinary all-stars Giada de Laurentis and Bizarre Foods Chef Andrew Zimmern will headline the event. You can enjoy talks, tastes and demos, food trucks, live music, wine tastings and meet a bunch of really cool chefs, including CFM’s own Lynn Foster. Stonyman Gourmet Farmer welcomes cheese aficionados in the Strathmore Mansion Dining Room 11 to 7. MeatCrafters and Stonyman will co-present a talk on charcuterie and cheese pairings at 3:30 in the Performance Center. The festival is open Friday night and all day Saturday. For more information, visit Strathmore. WASHINGTON -- The number of farms in the United States continues to decline in what has been a concerning trend in the past 25 years. In the U.S. Department of Agriculture's 2012 Census of Agriculture, the number of farms in the country dropped to 2.1 million, down from 2.2 million in 2007 and 2.48 million in 1982. Susan James' family has farmed in Virginia since 1725. Throughout the years, she has seen a response to the disappearing farms: backyard farming -- a term used to encompass everything from independent vegetable gardens, to at-home beehives, backyard chickens and more. "For us now, it can [take place anywhere], from a plot in an urban setting to suburban backyards," says James, who runs the Stonyman Gourmet Farmer in Washington, Va., a farm that specializes in farmstead cheese and customized meats. And while backyard farming is on the rise, it is nothing new. "It's had a long and revered tradition in our country," says James, who says that even people in bustling cities used to keep cows and other livestock. "During World War II, there were victory gardens so that people could have fresh produce because the production of food was going to the war efforts. And those gardens, by the way, still exist today. It's taken an evolution, and it's different now than it was in the past, but you see each generation -- it's been something that Americans really like, and right now it's really going through a resurgence as people rediscover the rewards of doing this." On Saturday, March 8, James will chair a session titled, "The Facts of Backyard Farming Life" atCelebrating FOOD!, the Les Dames d'Escoffier symposium saluting women in gastronomy. With a panel of four other urban agriculture experts, James will discuss the trends and techniques taking place in backyard farming. One trend she's noticed is the change in demographics in at-home harvesting. "Backyard farming seems to be an activity that women are really interested in," James says. "In the past two census periods … we've seen a dynamic rise in women in farming. And the interesting thing about women in farming is that they tend to farm smaller acreage, and they make that productive." James believes that a huge driver in the backyard farming trend is education and ownership. "A lot of parents are doing backyard farming so their children can see how food is grown and how it's handled … They learn that they can grow it themselves, that they can eat it, that they can take it home and have it on the table for their family. It gives them a sense of independence, of real knowledge and a sense of empowerment," she says. Another important aspect of backyard farming, she emphasizes, is community. James says it brings together different people, interested in making their food and their land better. "Everything is so interconnected. It's very satisfying in a world that has been kind of depersonalized … having bees increases the yield of the vegetable gardens. So it's interesting, this interconnection of these activities." Celebrating FOOD! is an all-day food experience, with more than 40 culinary speakers, cooking sessions and conversations. It will be headlined by Carla Hall, co-host of "The Chew" and will be followed by a wine-tasting reception. In addition to "The Facts of Backyard Farming Life," other sessions focus on a variety of topics, such as making flatbreads, to food writing and food photography. Celebrating FOOD! will take place on Saturday, March 8 at The Universities at Shady Grove in Rockville, Md., from 8:30 a.m. to 5:45 p.m. For information on details and tickets, visit the event's website. WTOP's Rachel Nania contributed to this report. Follow @WTOP and @WTOPliving on Twitter and on the WTOP Facebook page. Backyard Farming offers an exciting range of innovation-driven agriculture at the leading edge of the DIY and local food movements. It provides valuable life lessons, puts superb food on the table, and can be an incubator for establishing ag related livelihoods. On Saturday, March 8, 2014, successful practitioners will explain the facts of backyard farm life: how intensive cultivation techniques on small tracts produce amazing yields season to season, how production from a backyard henhouse works according to natural and governmental requirements, how to establish a stand-alone home hive and how to link with local beekeepers to gain valuable experience. Susan James will chair this program entitled The Facts of Backyard Farming Life. It is part of Les Dames d'Escoffier's Ninth Salute to Women in Gastronomy: Celebrating Food! Panelists include Carol Carrier, Farmer/Co-Owner, Plant Masters; Lisa Dearden (with live chicken Oprah Henfree), Owner/Manager, ChiknEGG Productions; Kristi Bahrenburg Janzen, Backyard Farmer, Marketing/PR Consultant, Janzen Family Farms and Nick’s Organic Farm; Toni Burnham, President, Maryland State Beekeepers Association. Session participants will obtain useful info on how to achieve success and how to avoid major pitfalls. With this core information, participants will learn about networks and resources to draw from as their backyard farming progresses. Backyard Farming Basics is one of the many activities featured in this bi-annual symposium presented by Les Dames d’Escoffier, Washington DC Chapter. For more information, or to register, please visit: www.lesdamesdc.org. After a fully-subscribed series in May, June, and July, we are now looking forward to the next suppers in Stonyman's seasonal farm-to-table dining. Join us in the garden at the Stonyman Mercantile in Little Washington on Saturdays, August 17 and August 31, 2013 for refreshing and delectable suppers by the fountain. served al fresco in our enchanting farm dooryard garden. a cheese course of exceptional ripened farmstead cheeses. Reserve your place at the table! 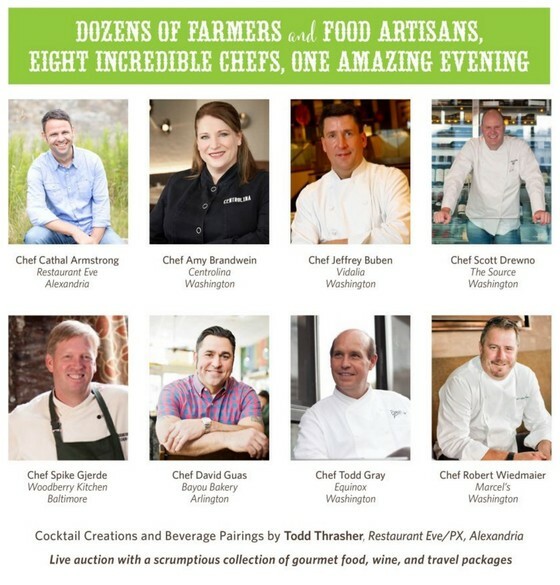 A portion of the proceeds will be donated to the Rappahannock County Farm Tour. packages at local inns, cottages and B&Bs. The group was welcomed by County Administrator John McCarthy. McCarthy and tourism consultant Laura Overstreet discussed what Rappahannock County is doing to support and promote Rappahannock’s farms and develop agritourism in the region. A panel discussion on “Farming in Rappahannock: Challenges and Solutions” was moderated by McCarthy and Kenner Love, Virginia Tech Agriculture Extension Agent. Participants included Susan James, Stonyman Farm; Rachel Bynum, Waterpenny Farm; Amy Payette, Gray Ghost Vineyards; Nick Lapham, Farm at Sunnyside; Chris Parrish, Parrish Farm; Thomas Williams, Williams Orchards. Farm visits were scheduled throughout the day. Stonyman Gourmet Farmer was the gathering point for the day, and Stonyman served a locally sourced farm-to-fork luncheon in their “farm dooryard” garden. Last Night 2011: Rappahannock Historical Society Celebrates New Year's: Music and Bonfire at Stonyman Gourmet Farmer! The Town of Washington, Virginia hosts its seventh annual Christmas Parade, Sunday, December 4, 2011 from 10 AM. The parade kicks off at 1 PM led by Parade Marshall Col. John Bourgeois, USMC (Ret. ), former Director of the "President's Own" US Marine Corps Band. Santa will greet children in the Stonyman Gourmet Farmer Mercantile Garden and Ben Jones will perform with his Cooter's Garage Band. Cochon & Charcuterie is an exceptional opportunity to learn stateside the basics of traditional and authentic French butchery and charcuterie. The workshop is geared to professionals, experienced cooks and knowledgeable food enthusiasts. Visitors to Stonyman Gourmet Farmer's mercantile enjoyed the Christmas in Little Washington Parade on Sunday, December 5, 2010. Santa heard children's wishes in the Stonyman Mercantile Garden and later Ben Jones and his Cooter's Garage Band played Bluegrass and traditional songs. Porsche Club of America, Founders Capital Region, visited Stonyman Gourmet Farmer on a glorious autumn day. This event was their second annual field trip to the Stonyman Gourmet Farmer Mercantile and environs. Events, presentations, tours and more took place at participating farms, orchards, wineries and plant nurseries. More than 400 visitor attended. Stonyman Gourmet Farmer demonstrated cheese making, and visitors to the Mercantile were able to view an eighteenth century kitchen with cooking pots and implements from "back in the day."